The UNI Type C LPHW Air Curtain is designed for recessed applications. 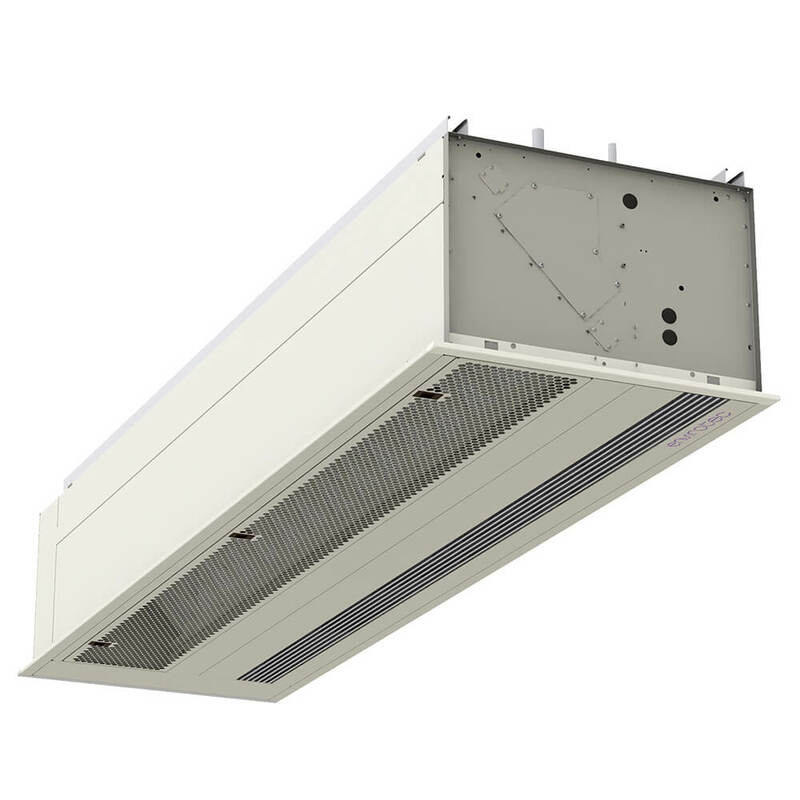 Return air enters the Universal Type C Air Curtain on the underside of the unit with supply air via a fixed linear grille. Filters can be accessed by removing the return air grille. Access to fans is from the underside of the unit – via a demountable discharge section. Once removed, individual fans can be withdrawn for maintenance or replacement. Please ensure at least 100mm space is available at both ends of the unit to access retaining bolts. Controls are mounted in an enclosure on the end of the air curtain. With the unit recessed into the ceiling, it is important to allow access to controls enclosure via an adjacent ceiling tile or maintenance hatch providing 500mm clearance in front of this panel.